One thing that many learners find difficult is to set up realistic language goals. When we ask what our students’ language goals are, many learners say things like “get better at Swedish”, “become fluent in Swedish”, or “being able to speak Swedish”. While these goals are understandable, they are problematic. Why? Because they are not specific enough, difficult to measure, and have no time period. You may have heard about the SMART way of setting goals. SMART is an acronym that include 5 useful components of goal setting. Timely – The goal should state the time period in which it will be accomplished. Develop several goals. A list of five to seven items gives you several things to work on over a period of time. State goals as declarations of intention, not items on a wish list. “I want to learn Swedish” lacks power. “I will learn Swedish,” is intentional and powerful. 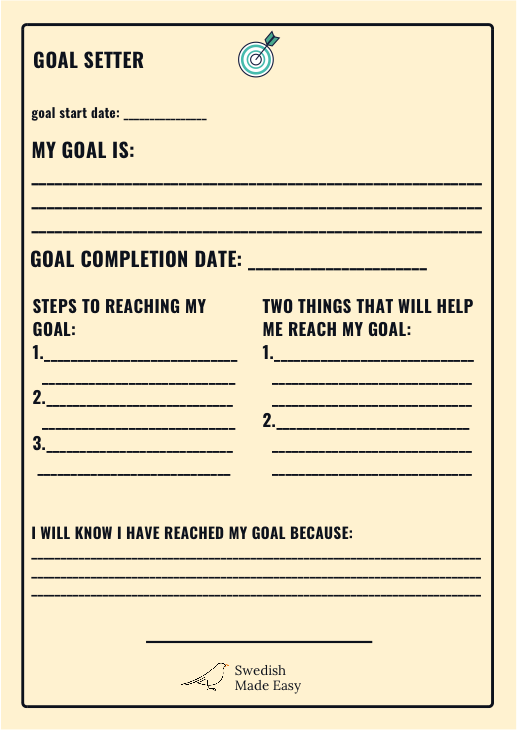 Attach a date to each goal. State what you intend to accomplish and by when. A good list should include some short-term and some long-term goals. You may want a few goals for the year, and some for two- or three-month intervals. Be specific. “To speak Swedish” is too general; “to be able to order something in a café in Swedish before the end of the month” is better. Sometimes a more general goal can become the long-term aim, and you can identify some more specific goals to take you there. Share your goals with someone who cares if you reach them. Sharing your intentions with your family/partner, your friend, or your teacher will help ensure success. Write down your goals and put them where you will see them. The more often you read your list, the more you will remind yourself of your goals. Review and revise your list. Experiment with different ways of stating your goals. 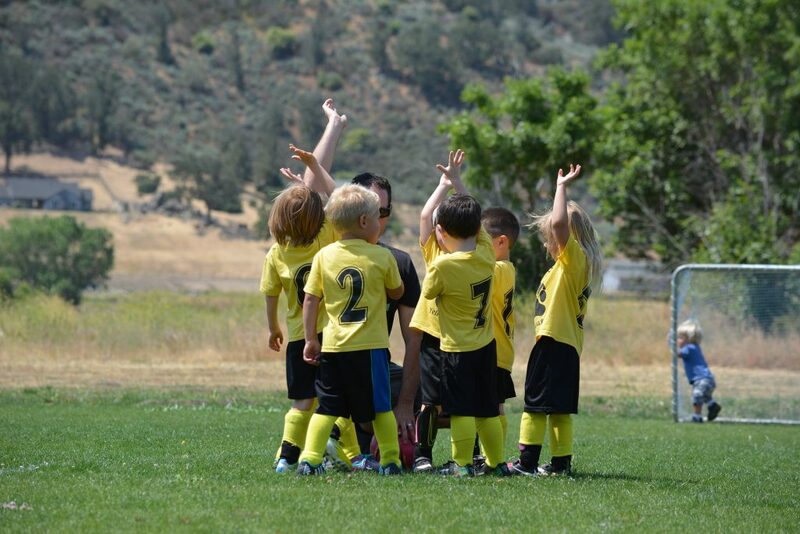 Goal setting improves with practice, so play around with it. In this blog post, you can read more about the best way to start learning Swedish. This article will explain what resources you will need, and this will help you when you set your Swedish language goals. Avoid using negative language. Think positive! Notice how the above example begins with the word “To”, includes the verb “run”, and tells what (the marathon), why (to beat personal best time) and when (May). Download our Free Goal Setter that will help you to define and structure your Swedish language learning goals.